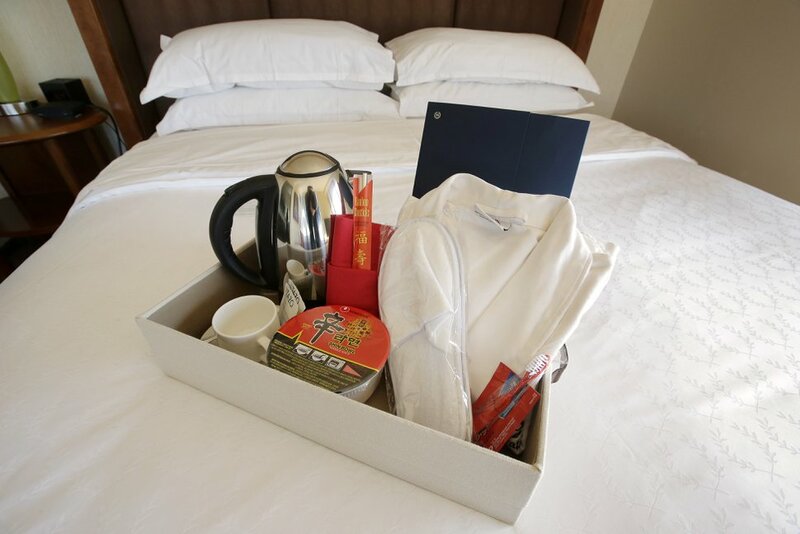 Boston • Hotels offer congee and other Chinese staples for room service. Casinos train staff members on Chinese etiquette. Restaurants, tourist sights and shopping malls translate signs, menus and information booklets into Mandarin. 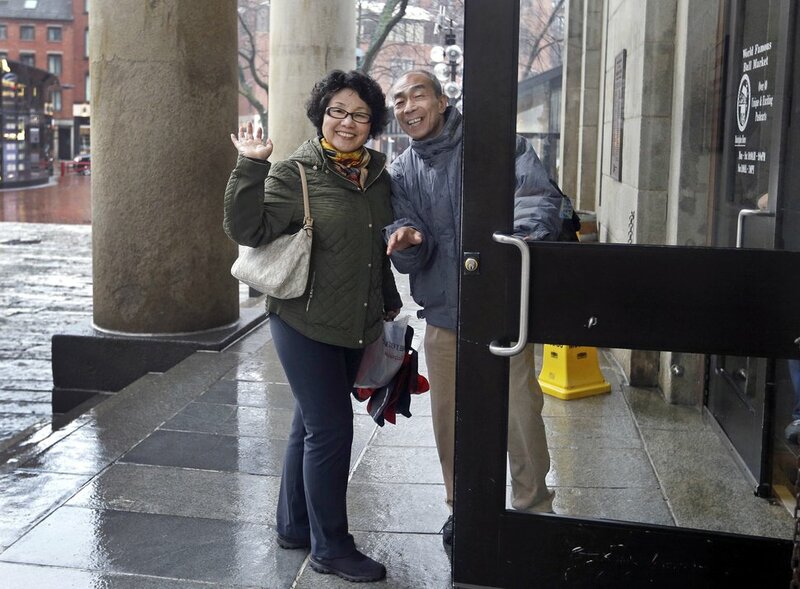 The American hospitality industry is stepping up efforts to make Chinese visitors feel more welcome, since they are projected to soon surpass travelers from the United Kingdom and Japan as the single largest overseas demographic. And it's not just the typical tourist hubs of New York and Los Angeles, where such efforts have long been commonplace. Smaller cities like Boston, Las Vegas, Seattle and Washington, D.C., are increasingly getting into the act, industry officials say. "Americans traditionally lag behind what other international designations do for different cultures," said Elliott Ferguson, CEO of Destination DC, the city's convention and tourism organization, which last year launched "Welcome China," a certification program for local businesses. "We just kind of assume that one size fits all. Quite frankly, that's just not welcoming." 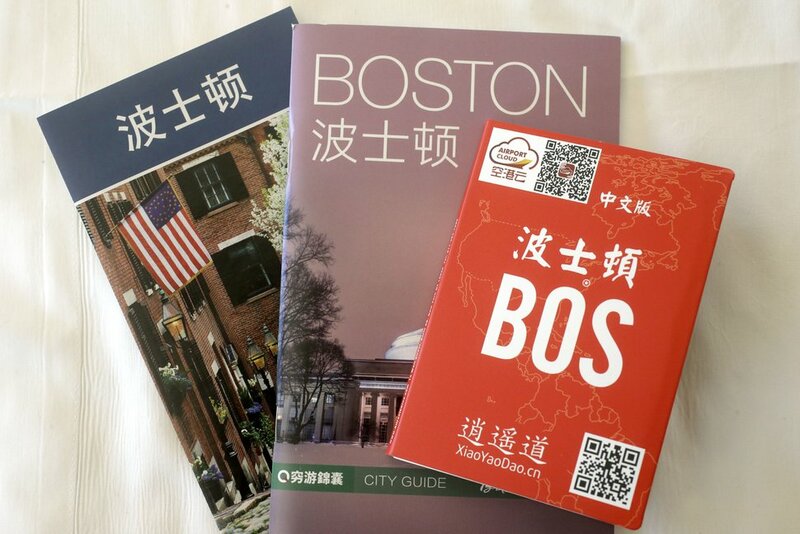 Local tourism associations in those and other cities have recently launched campaigns aimed at getting their member hotels, restaurants and tourism companies to better incorporate Chinese language and customs into their offerings. They're also embarking on tourism-focused sales missions to China and opening satellite offices in Chinese cities to strengthen ties and sell their city to trendsetters. Some companies have already embraced the message. The Sheraton Boston in the Back Bay neighborhood started offering in 2013 simple creature comforts many Chinese travelers expect, including slippers, robes, instant noodles, an electric kettle and green tea, and have since taken other steps to cater to Chinese guests, said Angela Vento, the hotel's general manager. The Four Seasons in D.C.'s Georgetown neighborhood makes similar gestures, as well as offering Chinese-language television and newspapers. It's also working on offering more traditional Chinese dishes on its room service and restaurant menus, said Liliana Baldassari, a hotel spokeswoman. In Las Vegas, Caesars Entertainment last year started offering guests at some of its affiliated resorts the option to book and pay for hotel rooms using WeChat, China's most popular social media app. "It's made a really strong statement to the Chinese that these people really welcome us and understand us," said Bruce Bommarito, the company's vice president for international marketing, noting the Roman-themed casino has rolled out other China-focused initiatives in recent years, including training programs for staff on basic cultural etiquette for serving Chinese guests. Those and other small touches are a step in the right direction, but more companies need to make an effort to recognize the growing importance of the Chinese market, said Justin Minggan Wei, a 27-year-old from Beijing who came to Boston in 2008 for college, an experience that inspired him to launch a consulting company helping local restaurants and businesses better serve Chinese customers. Zeng Wen, a 24-year-old who works part-time as a tour guide for Chinese-speakers in Chicago, said she has noticed recent efforts to reach out to Chinese tourists, like the Hilton hotel chain's "Hilton Huanying" program, which derives its name from the Chinese words for "welcome." But Zhe Zhang, a 36-year-old from Guangzhou who visited Los Angeles this year, said he didn't see any obvious outreach to Chinese visitors, outside of Chinese-run establishments. The most intimidating part, he said, was ordering food with his basic grasp of English. "If possible, restaurants could provide a simple Chinese menu or pictured menu," Zhang suggested. Cities can't afford to be caught flat-footed as China's growing middle class — almost nonexistent two decades ago — flexes its spending power, industry experts say. 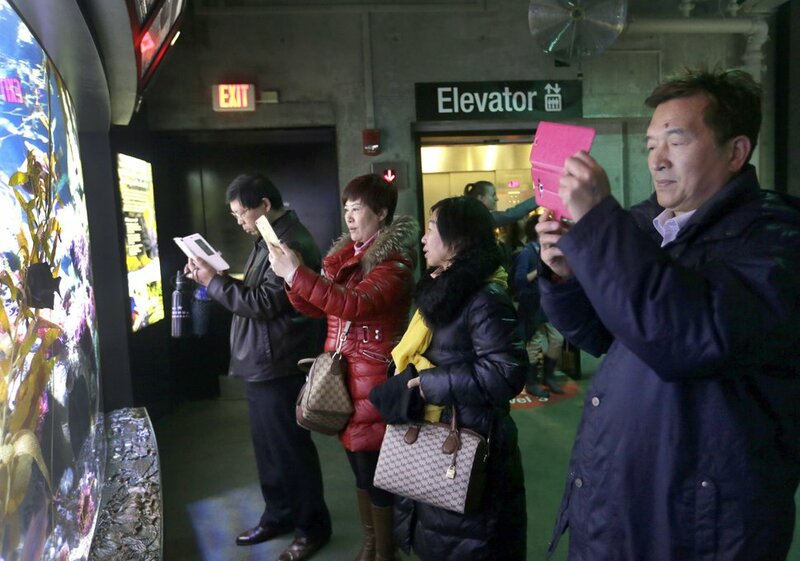 Chinese visitors already spend more in the U.S. than other international visitors, at roughly $7,200 per person, according to the U.S. Travel Association, an industry trade group. Travelers from the country are expected to more than double from about 2.6 million visitors in 2015 to nearly 6 million by 2021, the association said. More direct flights from China to a wider range of U.S. cities in recent years is partly fueling the boom. Creation of a 10-year visa between the U.S. and China in 2014 has also made it easier for Chinese to travel more frequently to the U.S. That has allowed them to venture beyond must-see destinations like New York and Los Angeles to smaller and mid-size destinations and even the national parks, said Scott Johnson, a New York consultant working with Boston and other cities to grow their international presence. 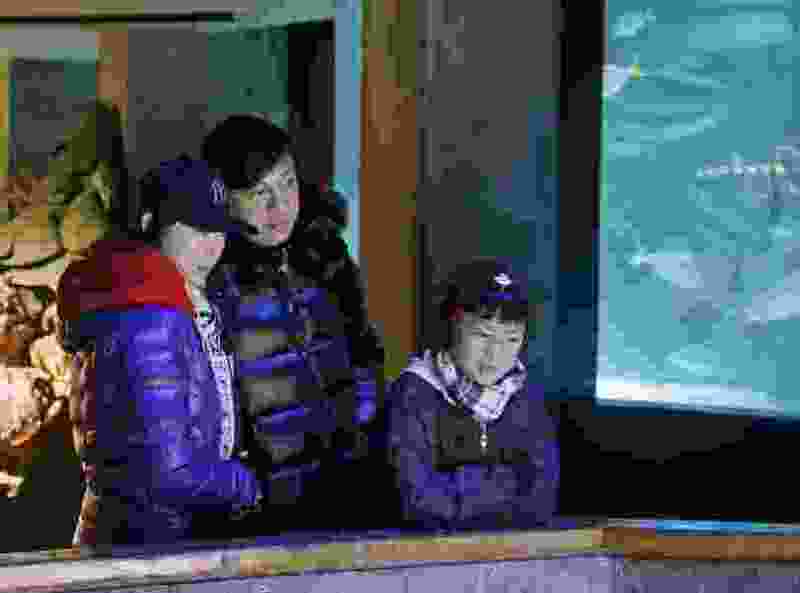 The growing ranks of affluent Chinese are also staying longer and visiting more locations in the U.S. as they plan for their children's college education or seek real estate and other investment opportunities. 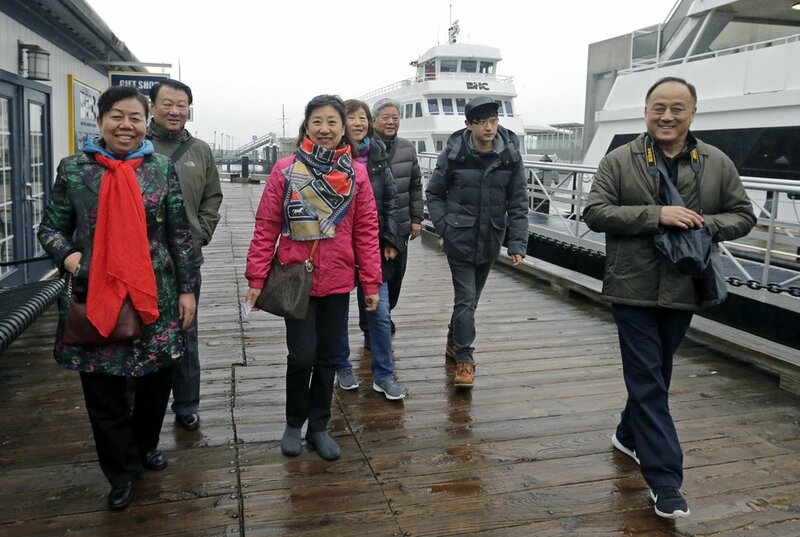 U.S. tourism officials are working to assure partners in China that they remain welcoming even as the administration of Republican President Donald Trump tightens international travel policies and promises fundamental changes in the U.S.-China trade relationship, said Tom Norwalk, CEO of Visit Seattle, the city's tourism organization. "Security and travel don't have to be mutually exclusive," he said. "We'd hate to see us roll back the clock. We've been pretty loud and clear about that." Motel 6 leaked personal data of 80,000 guests to ICE, officials say. Now it owes them $12 million.